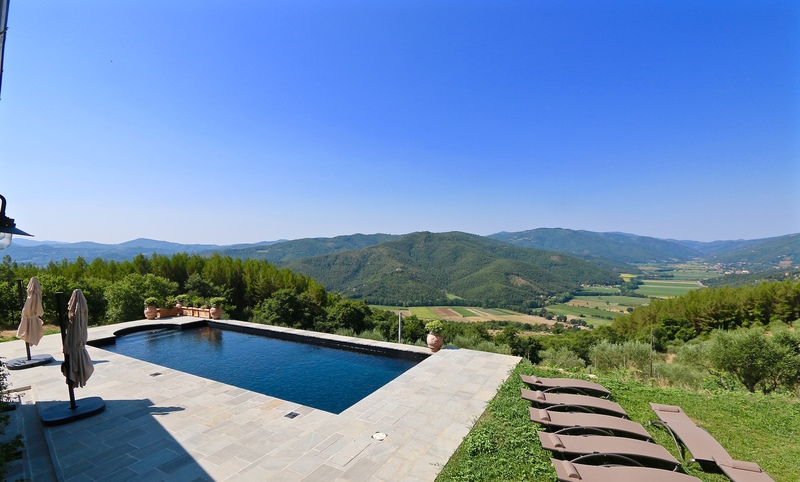 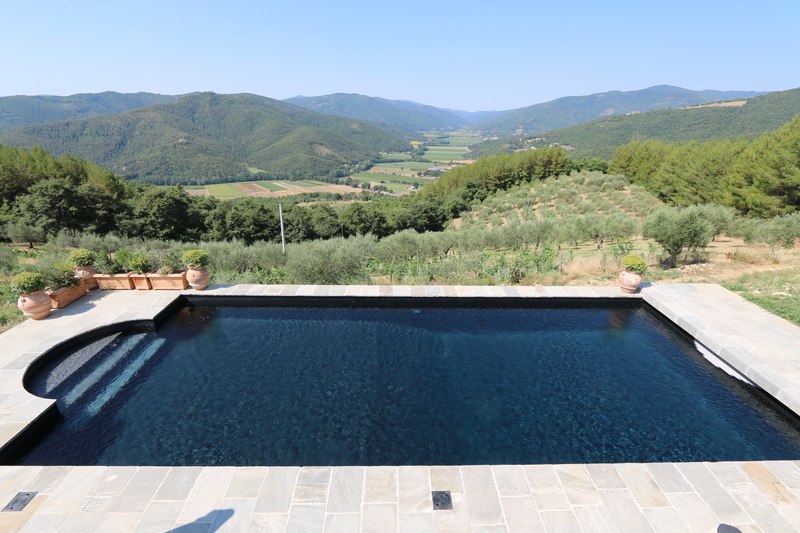 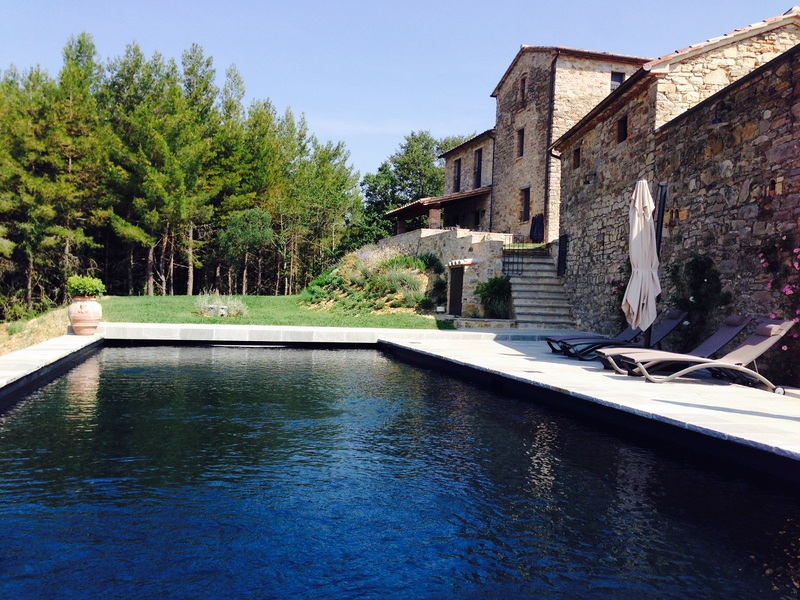 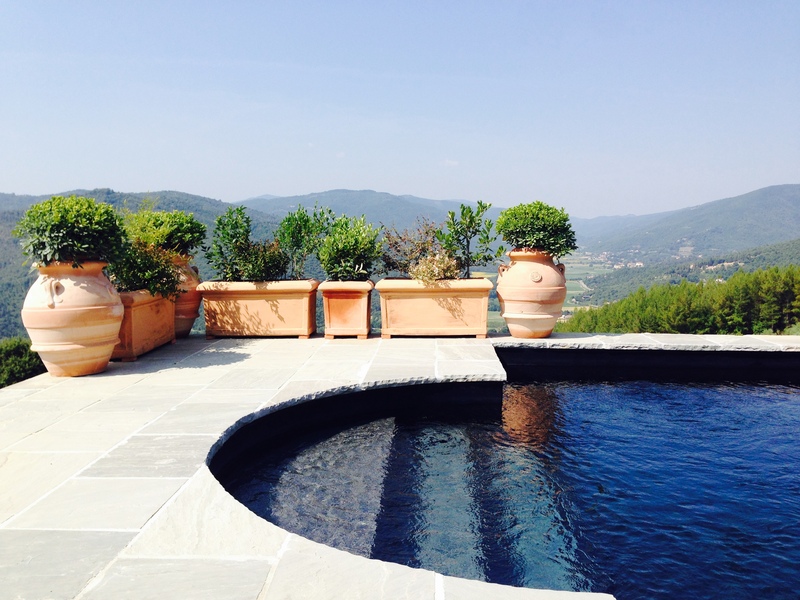 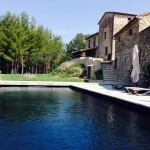 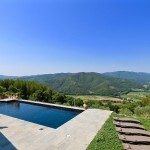 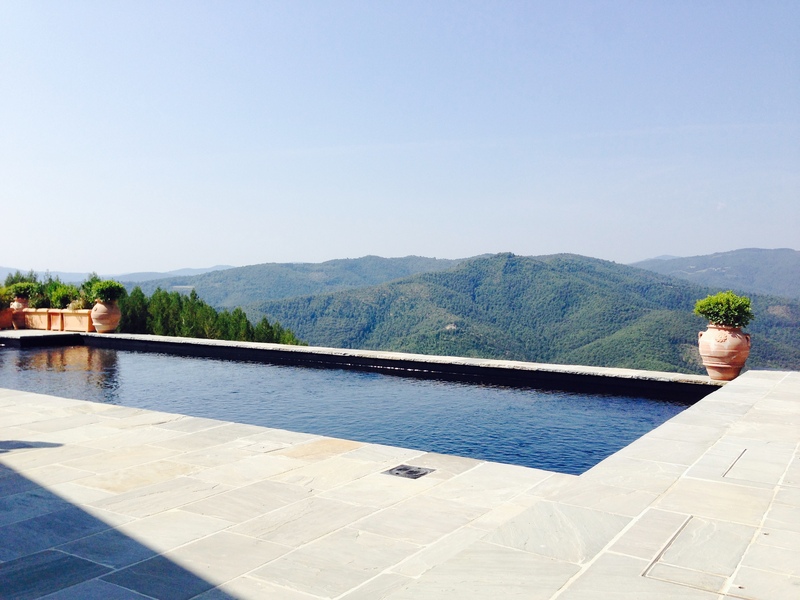 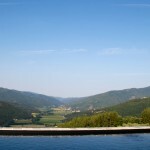 Just completed in time for this hot summer, this new swimming pool enjoys fantastic views over the Nestore Valley, a scenic and quiet valley in Umbria, on the border with Tuscany. 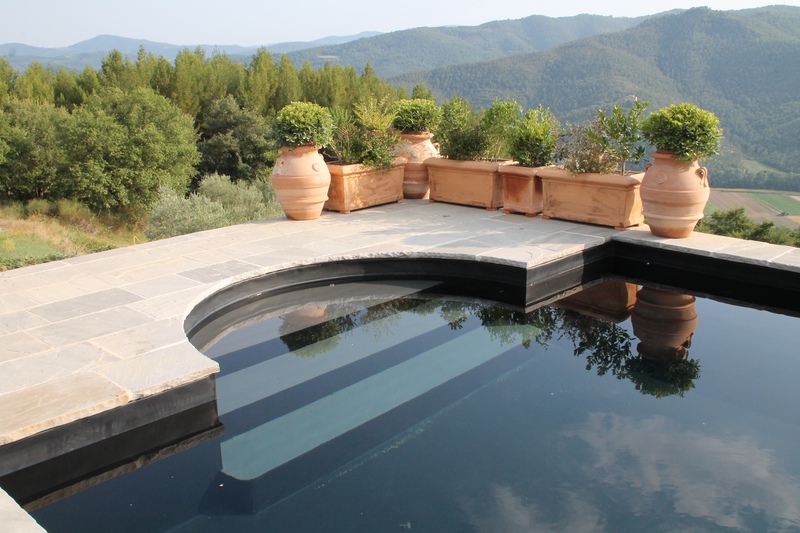 The pool is a traditional 5×10 m. rectangular shape with roman steps on one end and a raised platform on the other, where an electric floating cover is concealed. 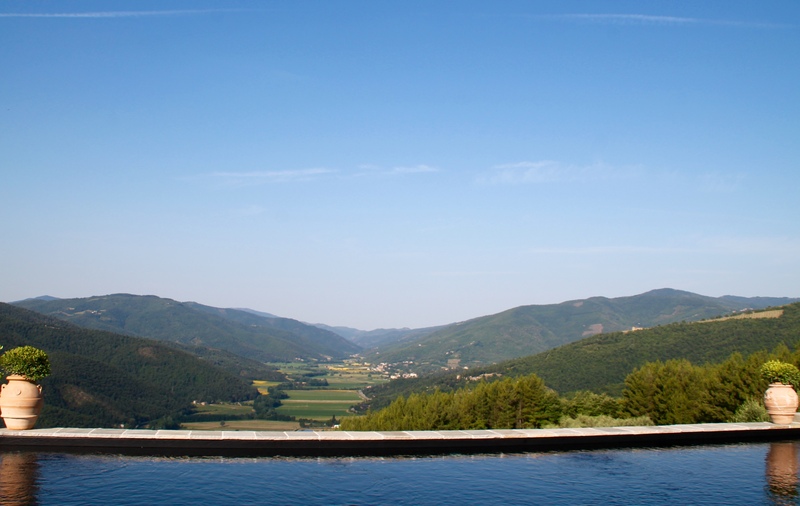 The pool is not an infinity type as such, but having a sudden level drop on the long side, the appearance is pretty much like an infinity. 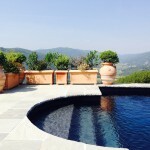 The structure is in reinforced concrete and the surrounding solarium is paved with quarzite flagstones. 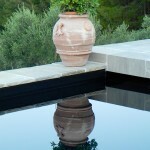 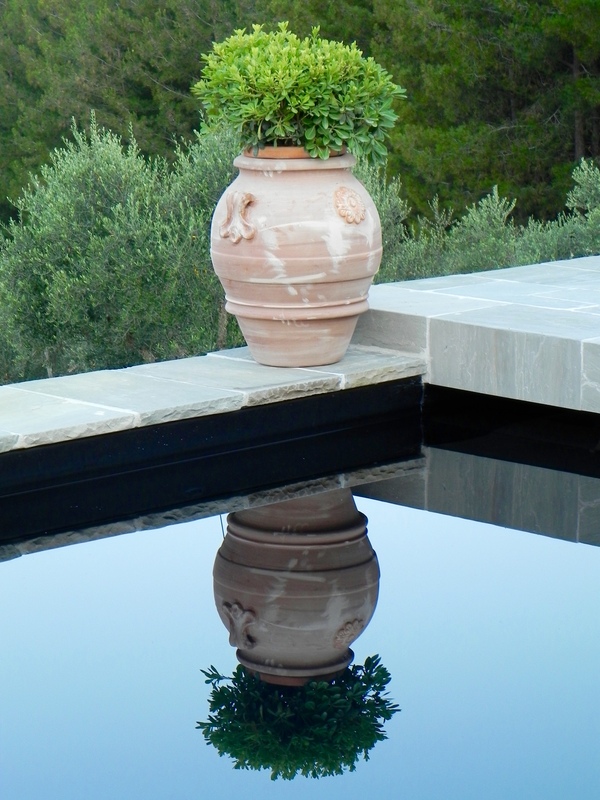 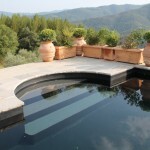 The interior is a black PVC liner which gives a natural, cool color to the water.